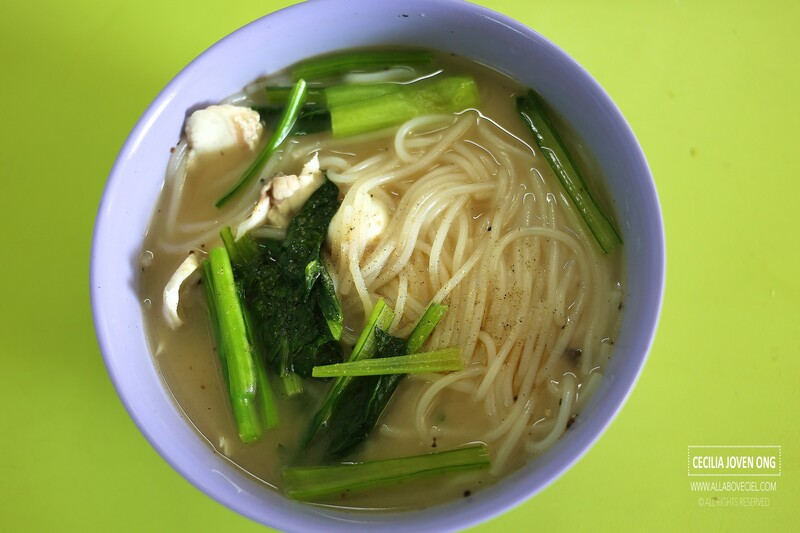 Mr Ng, the owner has been in cze char business for more than 30 years and they used to do a full menu on cze char dishes at their stall in Bukit Merah Food Centre before moving to Chinatown Complex Food Centre about a year ago. He decided to just do Cantonese style fish dishes like Fish Soup, Fish Head Soup, Sliced Fish Bee Hoon and Fish Head Bee Hoon etc. 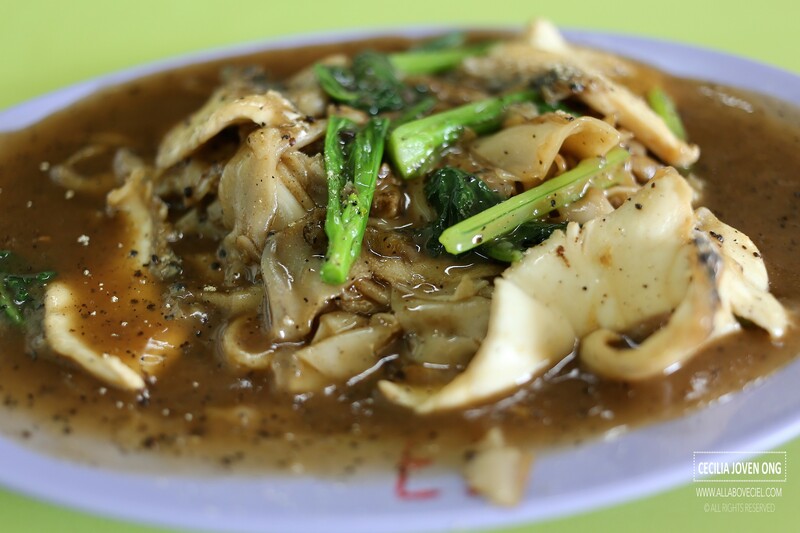 I decided to go with Sliced Fish Hor Fun ($5) and Sliced Fish Bee Hoon Soup ($4). I was asked for the table number to have it served to the table later. Most hawker stalls have replaced it with 'self-service' partly due to the manpower constraint. 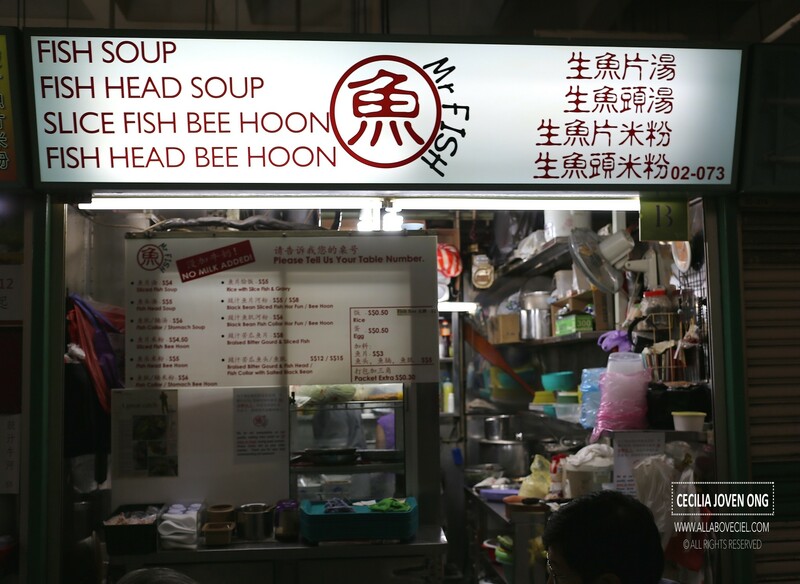 This stall is a family business, Mr Ng is running it with his wife and son. His son is doing the cooking now though still holding a job in IT service, he decided to help up after Mr Ng injured himself. 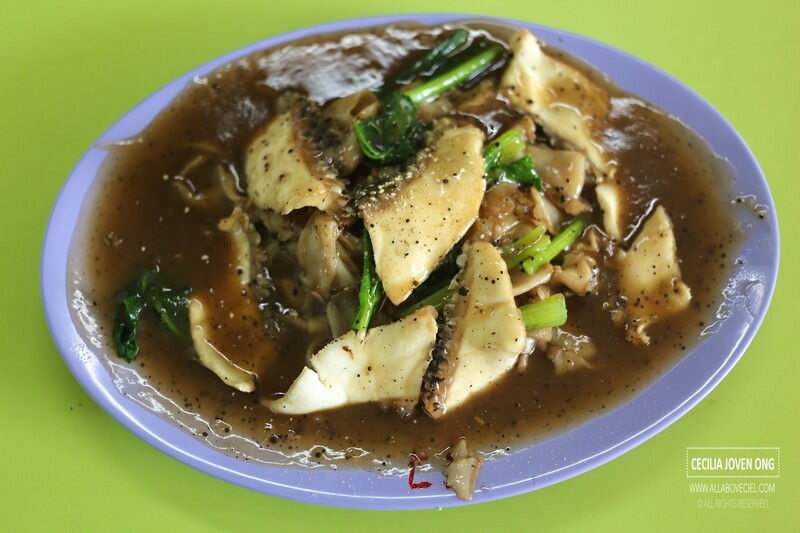 The Sliced Fish Hor Fun came first. 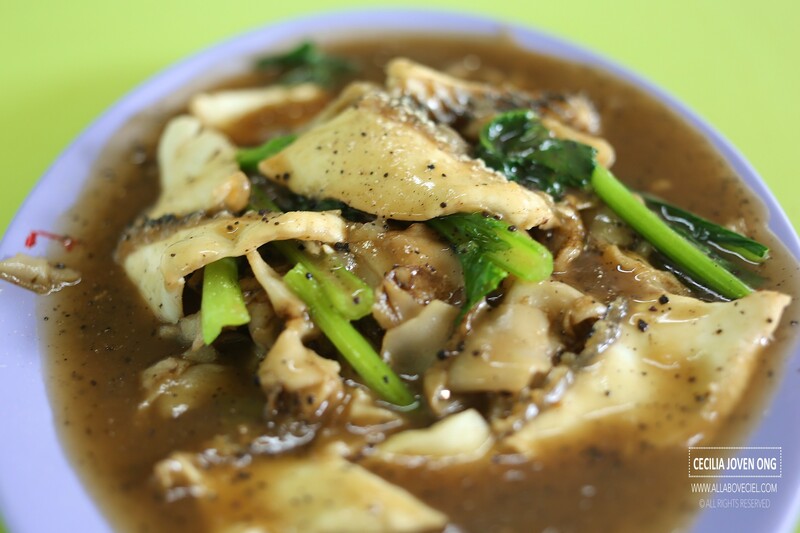 The first impression was the distinctive freshness of those fish slices then followed by the intense wok hei detected. The wok hei is something that you do not usually get it in most of the cze cha dishes these days, either the cook is not skilful enough or they just do it the shortcut way. The Hor Fun was nicely charred to give it the full flavor cooking with the black bean sauce without compromising on its texture. This plate of Sliced Fish Hor Fun was amongst one of the best that i ever tasted. The Sliced Fish Bee Hoon Soup came slightly later. It has the creamy looking color even though there is no milk added. They have done it the traditional way by cooking the fish over the fire for a long period of time to derive on that creaminess. I was told this is supposedly better than the Hor Fun but i did not quite enjoy it. The taste was a bit too healthy to my liking and it ended up to be a little too bland but those fish slices were extremely fresh thus good value. You should just give it a try if you happen to be in this Food Centre, this is an interesting find by hardworking folks that is still insisting doing it the traditional way. 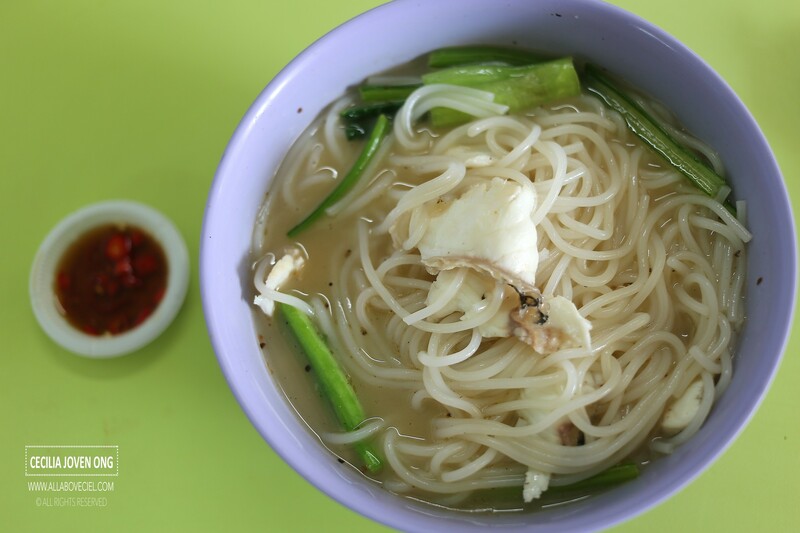 The Bedok Marketplace : What to Eat? Coba : Let's go Coba Coba!